For the 11th consecutive year, Genworth Canada is asking students in grades 4, 5, and 6 to consider what home means to them. 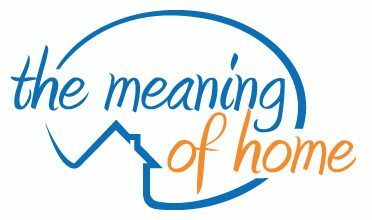 Through the Meaning of Home contest, students have the opportunity to share their stories, videos and poems in support of Habitat for Humanity Canada and local Habitats in communities across the country. The contest begins October 10 and ends November 30, 2017. “I believe it is important that our youth recognize the power they have to help change the world we live in not just tomorrow, but today as well. Genworth Canada’s Meaning of Home contest allows students the opportunity to think about and to articulate what a home means to them. And at the same time, students are learning a powerful lesson, sometimes for the very first time, that not everyone has a safe, decent and affordable place to call home,” said Mark Rodgers, President and CEO, Habitat for Humanity Canada. Last year’s grade 5 winner, Bensen Wilmer, directed his winning charitable donation of $50,000 to Habitat for Humanity Iqaluit, where a Habitat home is currently being built. Future Habitat homeowners Tiivi and Caroline, who are also Inuit, will pay an affordable mortgage and volunteer 500 hours of their time as part of the program. “The Genworth Canada Meaning of Home contest encourages students to become engaged in the well being of their community. Since this contest started in 2007, we’ve provided over $1,000,000 in funding to Habitat for Humanity across Canada, and we have helped to inspire over 45,000 students to learn more about the issue of affordable housing”, said Stuart Levings, President and CEO, Genworth Canada. For more information on contest rules, or to submit an entry, visit www.meaningofhome.ca. The contest winner and runners-up will be announced in February of 2018!